S3 Prestige, AWD, Black Leather with Red inserts, Navigation/Nav/GPS, Sunroof/Moonroof, Back Up Camera, Bluetooth Audio Streaming, Premium Alloy Wheels, Keyless Entry With Remote and Alarm, Heated Seats, Clean Carfax W/Carfax guarantee, Remainder of the Factory Warranty, 120 point Inspection and servicing, For Complete Inventory please visit www.Berteraauto.com Recent Arrival! 31/23 Highway/City MPG Please call, or email our internet team with any questions. Price shown may vary depending on cash purchase or lenders conditions. To qualify for internet pricing you must mention this advertisement at the time of sale.The features shown are VIN drawn from when the car was sold new and may vary as a pre-owned vehicle. CARFAX One-Owner, Clean CARFAX, 2018 Audi A6, Premium, S-Line, Ibis White, 8-Speed Automatic with Tiptronic, 2.0L 4-Cylinder, Turbo, Navigation, Sunroof, Premium Leather Seating, Back Up Camera, Bluetooth Audio Streaming, Blind Spot Detection, Premium Alloy Wheels, Keyless Entry With Remote and Alarm, Heated Seats & Heated Steering Wheel, One Owner, Clean Carfax W/Carfax guarantee, Remainder of the Factory Warranty, 120 point Inspection and servicing, For Complete Inventory please visit www.Berteraauto.com Recent Arrival! 22/31 City/Highway MPG Please call, or email our internet team with any questions. Price shown may vary depending on cash purchase or lenders conditions. To qualify for internet pricing you must mention this advertisement at the time of sale.The features shown are VIN drawn from when the car was sold new and may vary as a pre-owned vehicle. Dealer not responsible for typographical misprints/errors. Taxes, Registration and Documentation fee extra. See dealer for availability. CARFAX One-Owner, Clean CARFAX, Carrara White, 2018 Audi Q7, 3.0T, Premium Plus, Quattro, 8-Speed Automatic, Navigation, Panoramic Sunroof, Premium Leather Seating, 7 Passenger Seating, Back Up Camera, Bluetooth Audio Streaming, Blind Spot Detection/ Safety Group, Premium Alloy Wheels, Keyless Entry With Remote and Alarm, Heated Seats, One Owner, Clean Carfax W/Carfax guarantee, Remainder of the Factory Warranty, 120 point Inspection and servicing, For Complete Inventory please visit www.Berteraauto.com Recent Arrival! Awards: * ALG Residual Value Awards Please call, or email our internet team with any questions. Price shown may vary depending on cash purchase or lenders conditions. To qualify for internet pricing you must mention this advertisement at the time of sale.The features shown are VIN drawn from when the car was sold new and may vary as a pre-owned vehicle. Dealer not responsible for typographical misprints/errors. Taxes, Registration and Documentation fee extra. See dealer for availability. S3, 2.0T, Premium Plus, Quattro, Dual Clutch, Navigation, Blind Spot, Sunroof, Premium Leather Seating, Heated Seats, Back Up Camera, Bluetooth Audio Streaming, Premium Alloy Wheels, Keyless Entry With Remote and Alarm, Remainder of the Factory Warranty, 120 point Inspection and servicing, For Complete Inventory please visit www.Berteraauto.com Recent Arrival! Please call, or email our internet team with any questions. Price shown may vary depending on cash purchase or lenders conditions. To qualify for internet pricing you must mention this advertisement at the time of sale.The features shown are VIN drawn from when the car was sold new and may vary as a pre-owned vehicle. Dealer not responsible for typographical misprints/errors. Taxes, Registration and Documentation fee extra. See dealer for availability. CARFAX One-Owner, Clean CARFAX, Black Sapphire Metallic, 2018 BMW X2, xDrive28i, AWD, 8-Speed Automatic, 2.0L 4-Cylinder, TwinPower Turbo, Panoramic Sunroof, Premium Leather Seating, Heated Seats, Back Up Camera, Bluetooth Audio, Premium Alloy Wheels, Keyless Entry With Remote and Alarm, One Owner, Clean Carfax w/Carfax guarantee, Remainder of the Factory Warranty, 120 point Inspection and servicing, For Complete Inventory please visit www.Berteraauto.com Recent Arrival! 21/31 City/Highway MPG Please call, or email our internet team with any questions. Price shown may vary depending on cash purchase or lenders conditions. To qualify for internet pricing you must mention this advertisement at the time of sale.The features shown are VIN drawn from when the car was sold new and may vary as a pre-owned vehicle. Dealer not responsible for typographical misprints/errors. Taxes, Registration and Documentation fee extra. See dealer for availability. CARFAX One-Owner. Malibu LT, Mosaic Black Metallic, FWD, 6-Speed Automatic, 1.5L, Navigation/Nav/GPS System, Panoramic Sunroof/Moonroof, Back Up Camera, Bluetooth Audio Streaming, Premium Alloy Wheels, Keyless Entry With Remote and Alarm, One Owner, Clean Carfax W/Carfax Guarantee, Remainder Of The Factory Warranty, 120 point Inspection and servicing, For Complete Inventory please visit www.Berteraauto.com Recent Arrival! 27/36 City/Highway MPG Please call, or email our internet team with any questions. Price shown may vary depending on cash purchase or lenders conditions. To qualify for internet pricing you must mention this advertisement at the time of sale.The features shown are VIN drawn from when the car was sold new and may vary as a pre-owned vehicle. Dealer not responsible for typographical misprints/errors. CARFAX One-Owner, Clean CARFAX, 2018 Chevrolet Colorado, LT, Crew Cab, 4WD, Satin Steel Metallic, 8-Speed Automatic, V6, Back Up Camera, Bluetooth Audio Streaming, Premium Alloy Wheels, Keyless Entry With Remote and Alarm, Tow Package, One Owner, Clean Carfax W/Carfax Guarantee, Remainder of the Factory Warranty, 120 point Inspection and Servicing, For Complete Inventory please visit www.Berteraauto.com Recent Arrival! Please call, or email our internet team with any questions. Price shown may vary depending on cash purchase or lenders conditions. To qualify for internet pricing you must mention this advertisement at the time of sale.The features shown are VIN drawn from when the car was sold new and may vary as a pre-owned vehicle. Dealer not responsible for typographical misprints/errors. Taxes, Registration and Documentation fee extra. See dealer for availability. CARFAX One-Owner, Clean CARFAX, Nightfall Gray Metallic, 2019 Chevrolet Equinox, LT, AWD, 6-Speed Automatic, 1.5L, Back Up Camera, Bluetooth Audio Streaming, Keyless Entry With Remote and Alarm, One Owner, Clean Carfax W/Carfax Guarantee, Remainder of the Factory Warranty, 120 point Inspection and servicing, For Complete Inventory please visit www.Berteraauto.com Recent Arrival! 25/30 City/Highway MPG Please call, or email our internet team with any questions. Price shown may vary depending on cash purchase or lenders conditions. To qualify for internet pricing you must mention this advertisement at the time of sale.The features shown are VIN drawn from when the car was sold new and may vary as a pre-owned vehicle. Dealer not responsible for typographical misprints/errors. Taxes, Registration and Documentation fee extra. See dealer for availability. CARFAX One-Owner, Pacifica Touring L, Billet Silver Metallic, FWD, 9-Speed Automatic, 3.6L V6, Premium Leather Seating, Heated Seats, Back Up Camera, Bluetooth Audio Streaming, Apple Carplay & Android Auto, Blind Spot Detection/ Safety Group, Premium Alloy Wheels, Keyless Entry With Remote Start and Alarm, One Owner, Remainder of the Factory Warranty, 120 point Inspection and servicing, For Complete Inventory please visit www.Berteraauto.com Recent Arrival! 19/28 City/Highway MPG Please call, or email our internet team with any questions. Price shown may vary depending on cash purchase or lenders conditions. To qualify for internet pricing you must mention this advertisement at the time of sale.The features shown are VIN drawn from when the car was sold new and may vary as a pre-owned vehicle. Dealer not responsible for typographical misprints/errors. Taxes, Registration and Documentation fee extra. See dealer for availability. The Western mass preowned Used car outlet has the selection of vehicles you need. 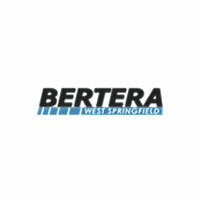 From Certified Preowned Jeeps to late model vehicles, Bertera in West Springfield and www.berteraauto.com has what you need. Guaranteed lowest prices on an expansive inventory of over 1000 vehicles available. Tires for life on every vehicle we sell. Located on Riverdale St in West Springfield Ma, We are easy to get to. Right off the Mass Pike or I91. State of the art showroom with Luxury lounge and complimentary snacks and coffe make Bertera the best choice.